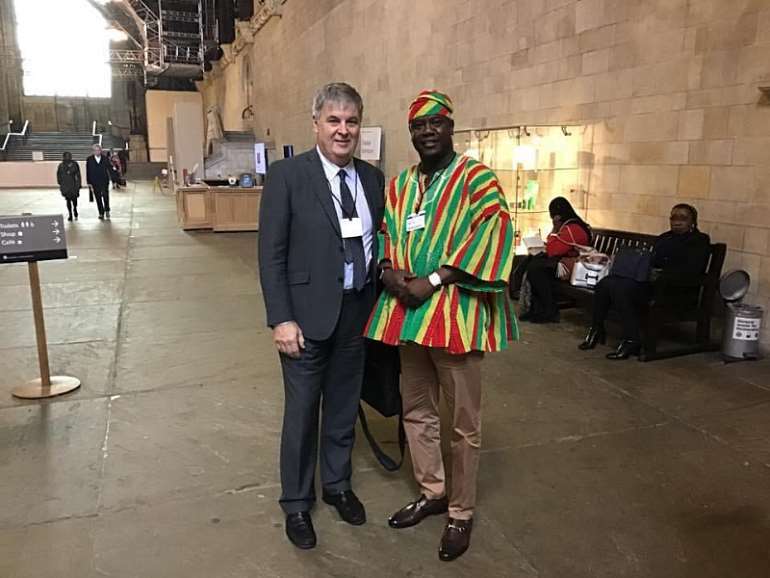 Son of the late Aliu Mahama, former Vice President of Ghana, Alhaji Farouk Aliu Mahama, has visited the Palace of the Westminster House of Parliament, United Kingdom, as part of activities marking the Black History Month celebration in the UK. The event was organized by Tony Tokumbu Fernandez, an International multi-award winning author, broadcast journalist & Poet, in collaboration with MPs Alok Sharma and Hellen Grant. 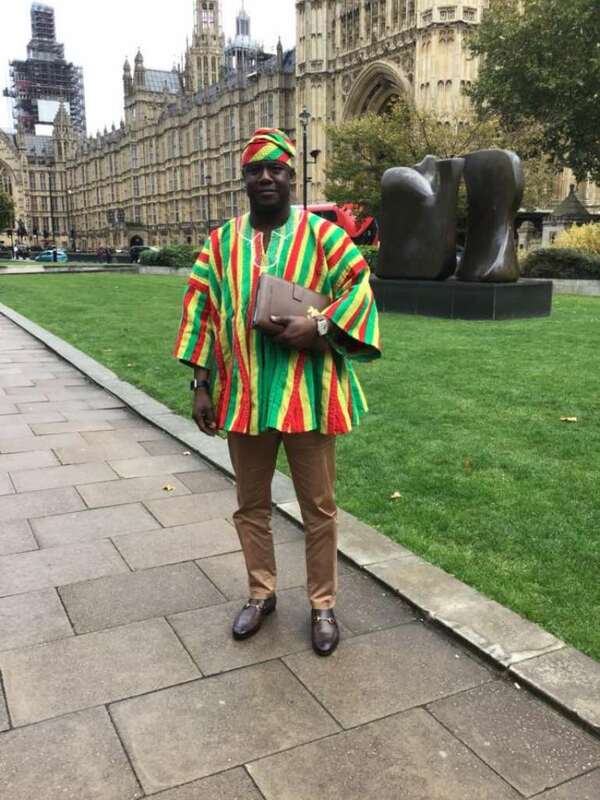 Farouk Aliu Mahama, who was dressed in one of the most colorfully made smocks exhibiting Ghana’s red, gold and green from Northern Region where he hails from, exalted the people of Yendi, Northern Region and Ghana at large. Farouk Aliu Mahama, a business executive, who aspires to be a Member of Parliament for the Yendi Constituency delivered a speech as a guest speaker at the 6th edition of the celebration. Black History Month was first celebrated in the United Kingdom in 1987. 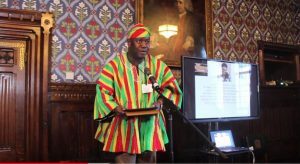 It was organised through the leadership of Ghanaian analyst Akyaaba Addai-Sebo, who had served as a coordinator of special projects for the Greater London Council (GLC) and created a collaboration to get it underway. It was first celebrated in London. The annual event offers some selected African representatives from different socio-economic and cultural backgrounds the platform to speak about their country's achievements and accomplishments which are often not projected in the international media. Born on April 27, 1981, Alhaji Umar Farouk Aliu Mahama belongs to a prominent political family as the son of H.E Alhaji Aliu Mahama and H.E Hajia Ramatu Mahama( Former Second Lady of the Republic of Ghana, 2001-2009). His father was Ghana’s first Muslim Vice-President and the first and only Dagomba to have risen to that political height. His paternal grandfather, Zongo Naa Mahama, was the Zongo Chief of Yendi, the traditional capital of Dagon. Farouk Aliu Mahama’s maternal grandfather, Alhaji Imoro Egala, was Ghana’s Foreign Affairs Minister in the First Republic (1960-1961) and later Trade and Industries Minister. His maternal grandfather was the first black chairman of Ghana Cocoa Board and the founder of People’s National Party, the mother party of People’s National Convention (PNC). He began his basic education at Sakasaka Experimental Presby, Tamale and was later enrolled in the Achimota School. He proceeded to Prempeh College in Kumasi for his secondary education and later to Kwame Nkrumah University of Science and Technology. Later, Farouk earned his Bachelor of Science degree in Marketing at the Ghana Institute of Management and Public Administration (GIMPA). He now holds a Master’s degree in Supply Chain Management from the Coventry University in England.